Your Favorite Recipes of the Year. A collection of the 10 most popular NEW recipes on Panning The Globe in 2017. I hope your holidays were warm and cosy and that you got to be with your favorite people and enjoy good times and delicious food. We were back home in Boston for the last three weeks of December. The year ended with a whirlwind of activities; spending time with family, catching up with friends, and cooking up a storm! Back in London now, happy and grateful, and looking forward to an exciting 2018! Panning the Globe has many wonderful new recipes in the pipeline which I cannot wait to share with you. 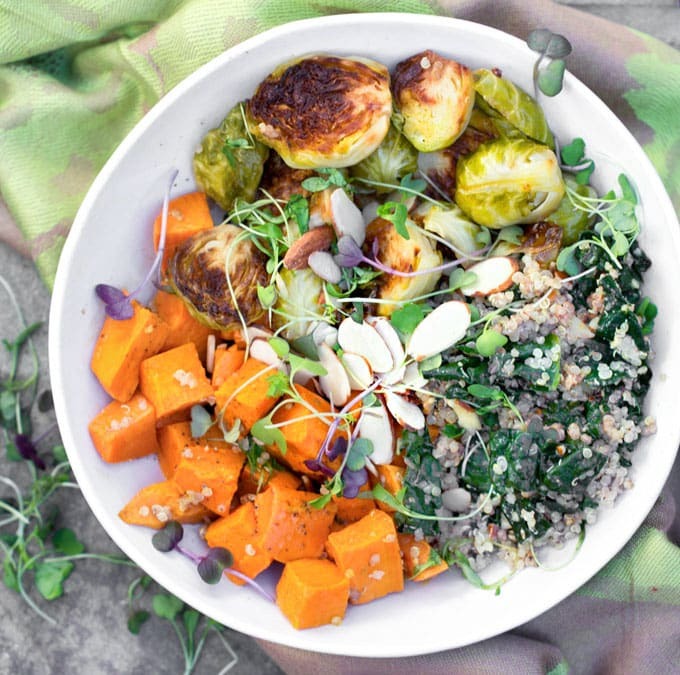 But first lets take a moment and look back at some favorite recipes from 2017. I see a year of dishes that I absolutely loved, that I was excited to share with you, and that I hoped you would love too. Making people happy with food is the mission of Panning the Globe. My greatest thrill is when I hear from you that you tried one of my recipes and enjoyed it, that my efforts resulted in delicious meals and enjoyable occasions for you and your family and friends. A big Thank You to you my readers, friends, fellow cooks and food enthusiasts, for visiting Panning The Globe, cooking the recipes, commenting, emailing, and connecting with me on social media. Warm wishes to you and your family for a Healthy and Happy 2018! Do you have any favorite recipes from Panning The Globe? I’d love to know! 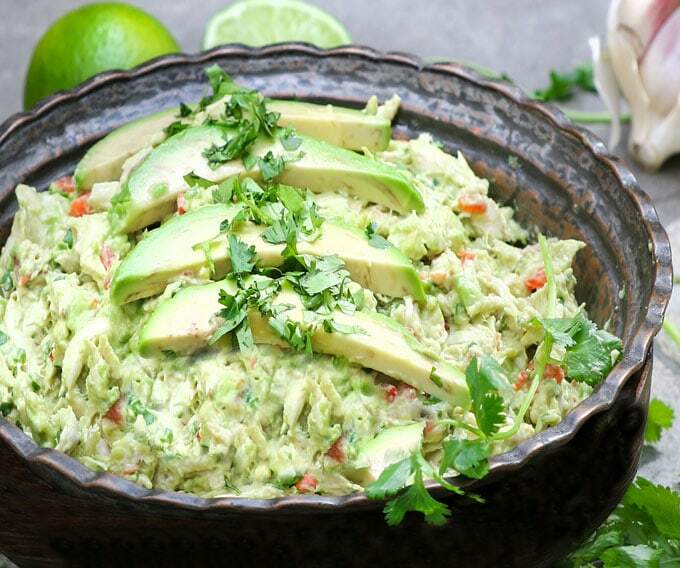 Shredded chicken is mixed with avocado, lime juice, jalapeño, bell pepper, white onion, garlic and cilantro. There’s no mayonnaise so it’s super healthy, paleo, dairy-free, and bursting with vibrant Latin flavors. If you love chicken salad, you’re going to go crazy for this one! This is a fantastic chili, rich and comforting, with a robust meaty flavor and the perfect amount of heat, made with beef, pork, beans, fresh chile peppers, awesome spices, onions, garlic, tomatoes and beer. 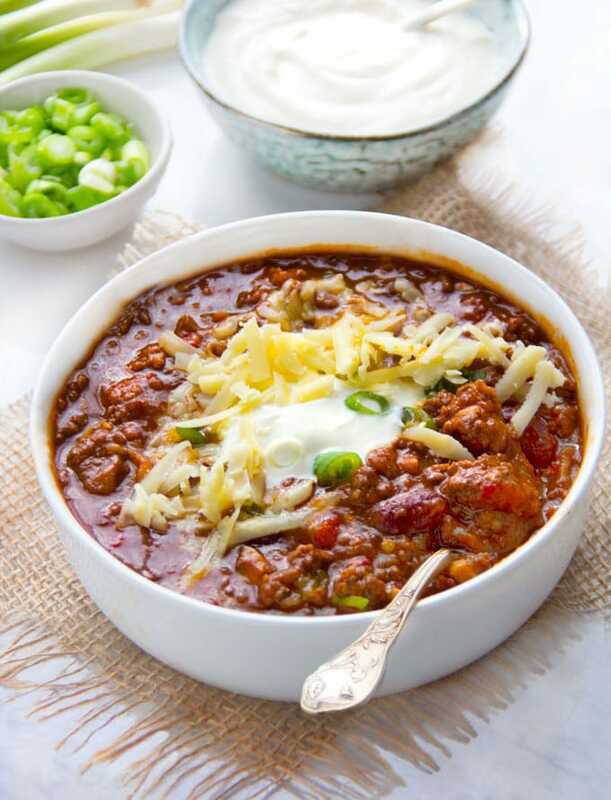 Everyone needs a great chili con carne recipe in their repertoire! A Virtual Chili Competition on Panning The Globe: On a personal note, my husband Eddie couldn’t be happier that his chili recipe is doing so well. 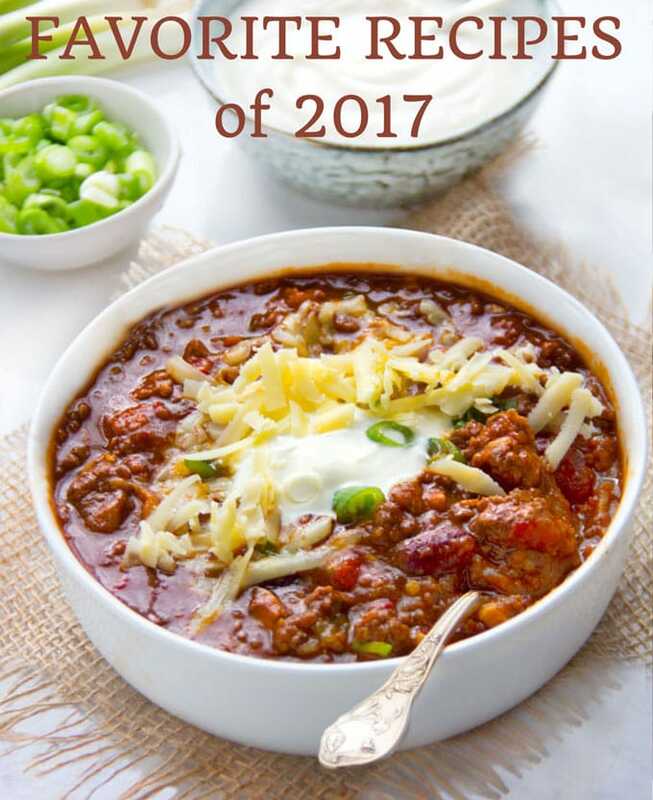 Eddie’s chili has been among the most popular recipes on Panning The Globe ever since I posted it. But there’s even more intrigue here. Eddie is, once again, in competition with his long-time chili cook-off rival Dean. Eddie and Dean are business associates and have been competing in office chili cook-offs for years. They have always taken 1st or 2nd place – Dean with his White Chicken Chili – Eddie with his Chili Con Carne. I posted Dean’s chili recipe on Panning The Globe two years ago, and it has become Panning The Globe’s most popular recipe of all times. Eddie’s chili has only been on the blog for about two months and it is already up there close to Dean’s, and every so often, on a given day, Eddie’s chili gets out ahead of Dean’s. You can read more about Eddie and Dean’s chili escapades in their chili recipe posts. You can follow the virtual chili competition by looking at the eight thumbnail photos in the right-hand sidebar under “Most Popular Trending Recipes.” The top left photo is the most popular recipe. Top right photo is second most popular, and so on, down the row. I’m always in search of the tastiest and most nutritious granola. 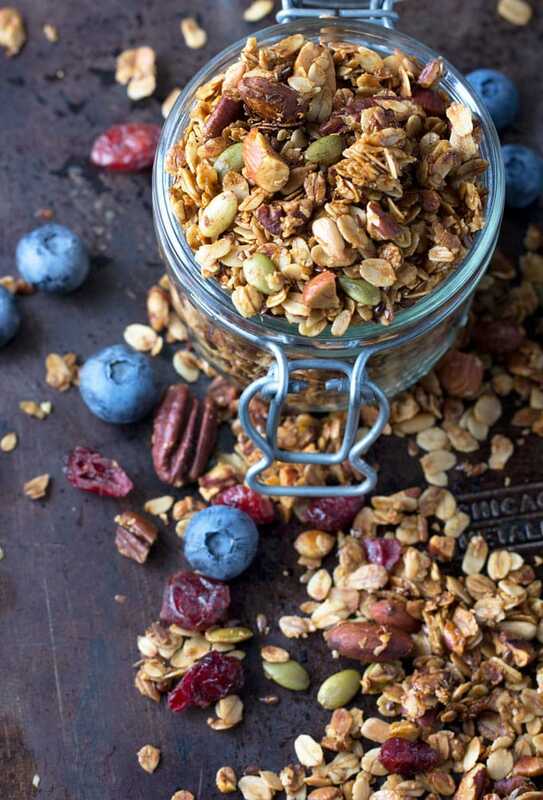 This easy recipe for healthy granola is tops in both categories. 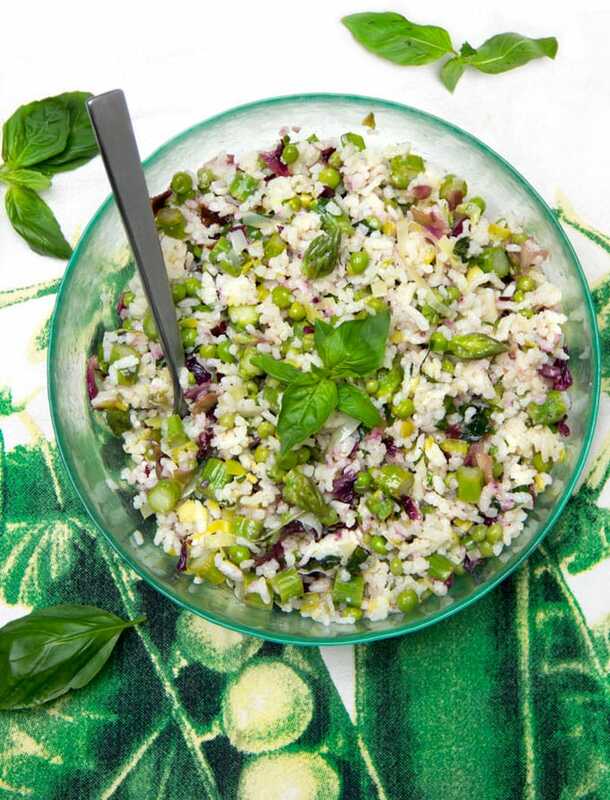 It’s made with heart-healthy grains, nuts and seeds. Pure maple syrup adds just a touch of sweetness. Unrefined coconut oil gives it a golden crispy crunchy texture when baked. 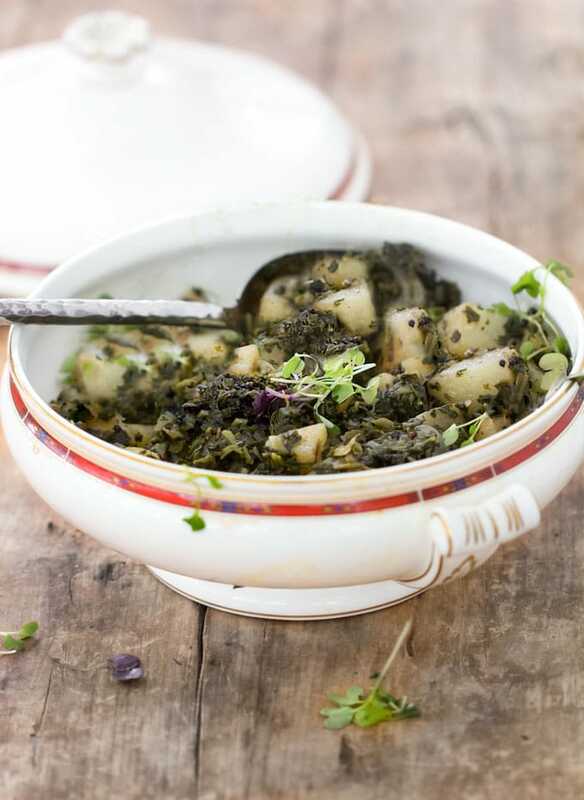 Saag Aloo: Indian Spinach and Potatoes, is a fantastic healthy side dish with tender cubes of potato, spinach, onions, and mild fragrant spices. It comes together quickly and simmers for 40 minutes while you get the rest of the dinner ready. 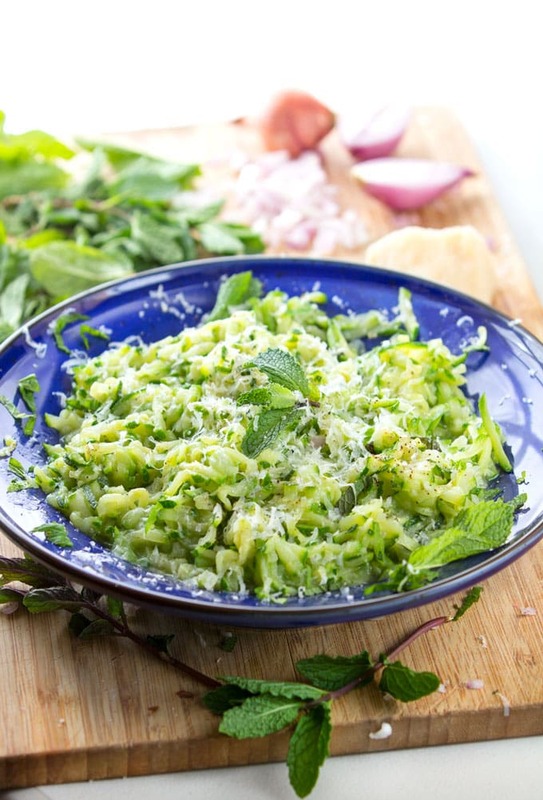 This simple and delicous zucchini recipe takes 10 minutes to make and goes well with anything and everything. 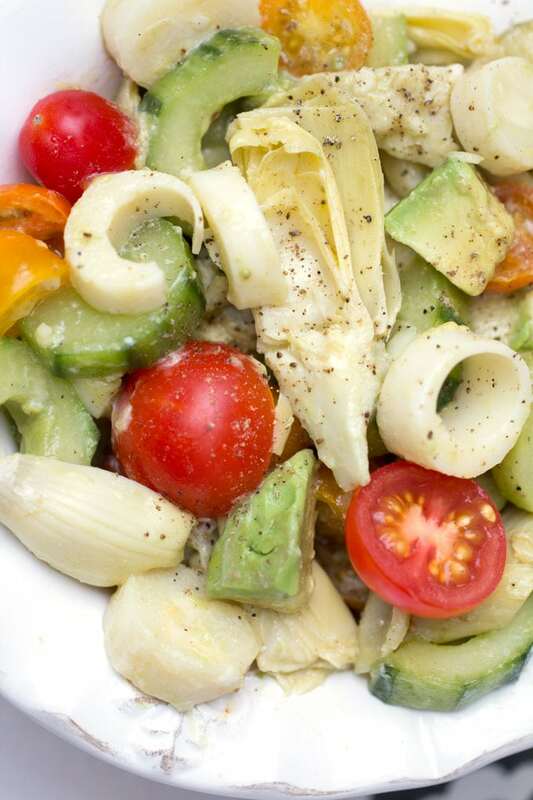 This Brazilian-style hearts of palm salad has rich flavors and an exotic quality about it, yet it’s a healthy and easy recipe to throw together. Just some slicing and dicing and a wonderful lemony, mustardy, garlicky dressing that brings it all together. 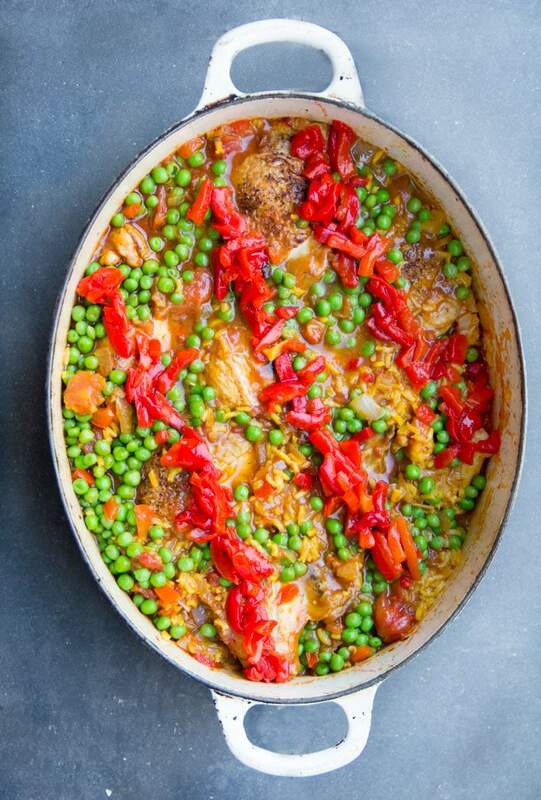 Arroz Con Pollo is Spain’s beloved chicken rice casserole, a big comforting pot of tender chicken, yellow rice, and peas, baked with broth, wine, tomatoes, aromatic vegetables, saffron and other spices. Super comforting and delicious! 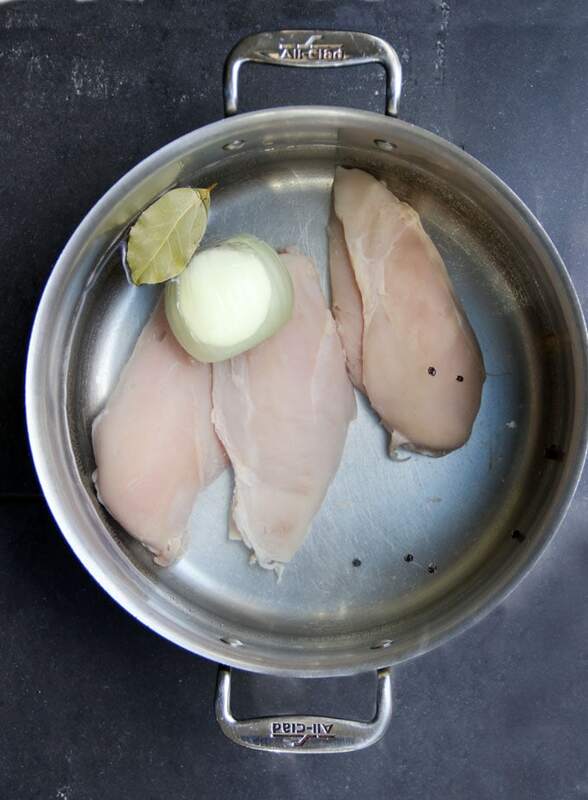 Poached chicken is one of the world’s easiest recipes, fast and foolproof. All you need is water, an onion, spices, two minutes of prep and fifteen minutes of simmering. Freshly poached chicken is the key to great chicken salad. 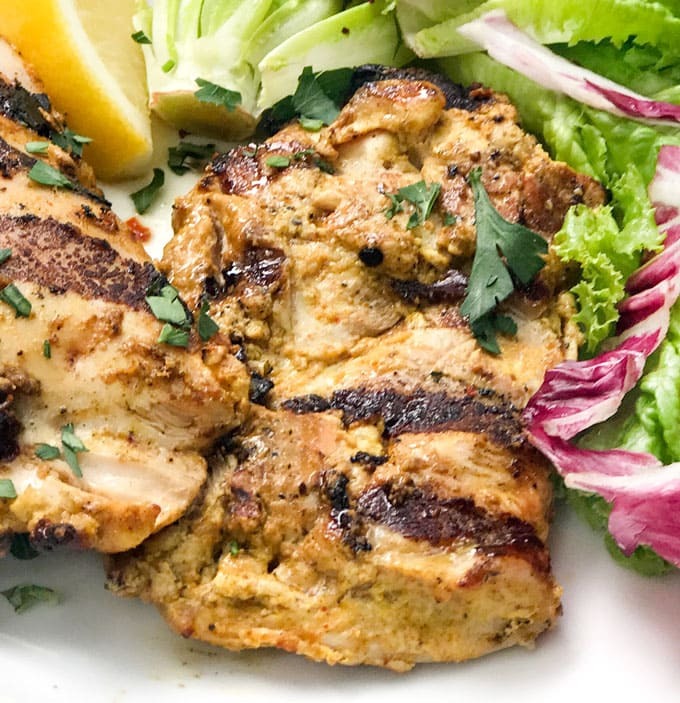 When you combine North Africa’s favorite spice mix ‘ras el hanout‘ with yogurt, garlic and lemon juice, you get one of the world’s best marinades for grilled chicken thighs. The yogurt is a natural tenderizer. The spices are warm and fragrant. Prep time is minimal. Just let the chicken soak up the marinade for an hour or two, throw it on a hot grill, and you’re in for a treat. My travels to Istanbul left me with a very long list of recipes I was excited to make at home. Sigara Börek was high up on the list. 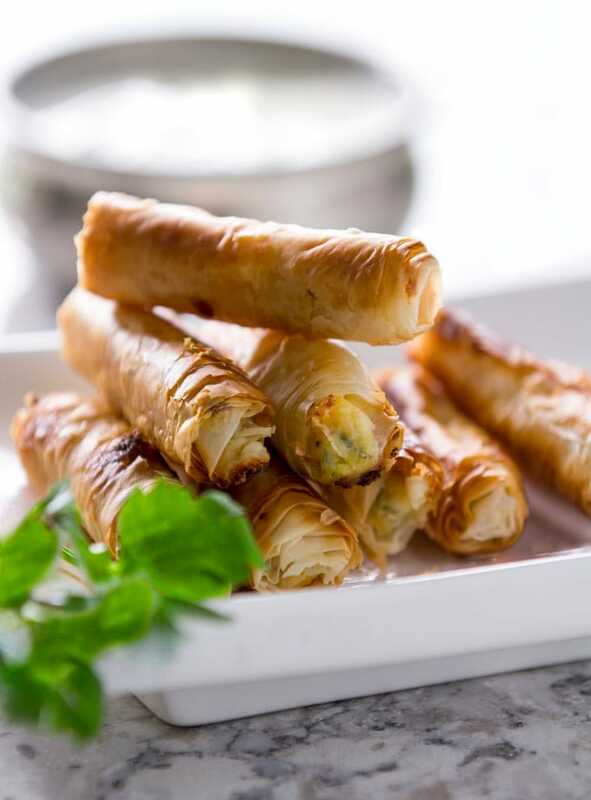 Börek is a savory pastry with filling. The most common fillings are cheese, meat and spinach. I love these little börek. They’re great for grabbing and dipping. What a wonderful collection you have collected. Many thanks. I hope that 2018 brings you joy and all you could wish for yourself. I look forward, with eager anticipation, to your 2018 posts which I am sure will inspire me. Thank you Merle, for your heartfelt note. I’m so glad you are here and excited to get cooking with me in the new year! Wishing you a joyous 2018!